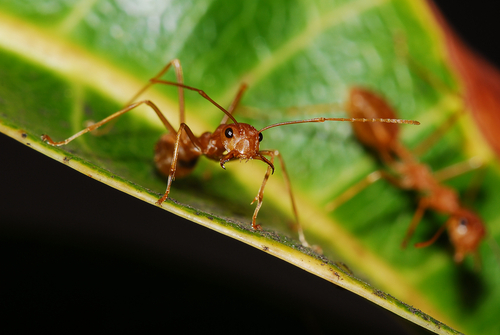 Red Imported Fire Ants in New Orleans, LA | Pied Piper Pest Control Inc.
Red imported fire ants are one of the peskiest and potentially most dangerous insects found along Louisiana’s Gulf Coast. Notably, fire ants are included in the list of top 100 most harmful and invasive species in the world, as they are responsible for millions of dollars worth of damage yearly. Red fire ants are called “imported” as they were accidentally brought to the US from South America on a cargo ship sometime in the 1930’s. For decades, they have been rapidly spreading inland and northward. Fire ants reproduce at an extraordinary rate: one ant queen can lay over 2,000 eggs a day, and most colonies have up to 100 egg-laying queens. Present time, fire ants create one the most common pest control problems in 12 southern states, including Louisiana. Every year, over 20 million people get stung by fire ants. These insects are known for their extremely aggressive temperament. If their nest is disturbed, red ants become agitated and immediately start attacking their supposed offender. Fire ants produce painful venom and repeatedly sting their victim, causing burning sensations and itching. Skin irritation from these bites can last over 10 days, often resulting in the long-term pustules. Red ants often attack en masse, and continuous stinging can be life-threatening to some people. Their venom is a known allergen, that can be deadly to highly allergic individuals. Red imported fire ants are attracted to moisture, which is why they create colonies and build mounds in the frequently watered soil. Their nests can be found on the river banks and highway side roads, residential lawns and golf courses, athletic fields and farmlands. Sometimes ants camouflage their nests under the garden plants, utility tunnels such as pipes and electrical fixtures, as well as the structures of walls and buildings. Not only these areas can be compromised by ants’ activity, the critters may also enter the buildings through the tiniest cracks. Ants’ underground tunnels and galleries can cause serious and costly damage to everyone from suburban and urban residents to commercial and industrial entities. Most DIY tactics for treating ants make colony dislocate the mound and occupy another area of your yard instead. Do not try to fight the fire ant problem by yourself, as it might only outrage the pests. Only diligent effort and expertise of a certified professional can help you eliminate the problem completely. At Pied Piper Pest Control, we utilize a sophisticated bait method, containing edible materials along with the untraceable pesticide. Once worker ants bring and spread the baits inside the mound, the extermination of the colony is guaranteed. Contact Pied Piper Pest Control today and enjoy your ant-free yard & the peace of mind.